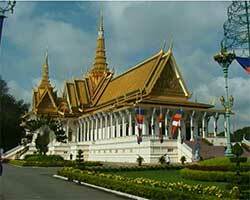 We start the morning by visiting the royal Khemmarin palace, and the Silver Pagoda. 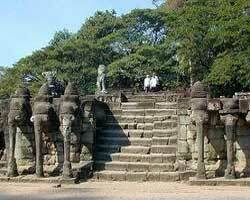 The Palace is a magnificent example of Khmer architecture, it was built in 1866. You will see the Throne Hall and the Napoleon III Pavilion. 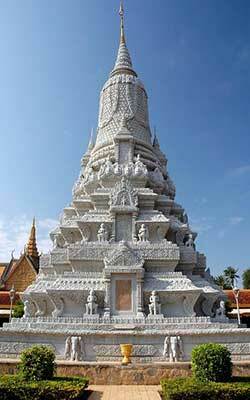 Silver Pagoda is one of the richest shrines in the world. The floor is made of 5.000 silver tiles. Visit Tuol Sleng Genocide Museum. 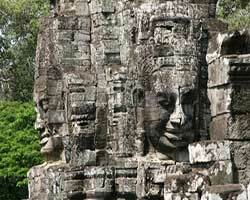 Over the years since, the crimes of the Khmer Rouge during the Cambodian Genocide went mostly undocumented. Today, Tuol Sleng is a museum dedicated to those that might have otherwise been forgotten. Visit as local Market where you find a wide variety of stalls offering a diverse range of goods and services. 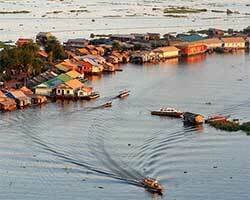 You will have time to do some exploring and buy some souvenirs. 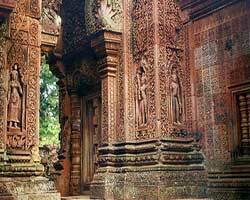 Visit Banteay Srei, loosely translated this means citadel of the woman but this is a modern appellation that probably refers to the delicate beauty of the carvings. The temple's relatively small size, pink sandstone construction and its ornate design give it a fairyland ambiance.